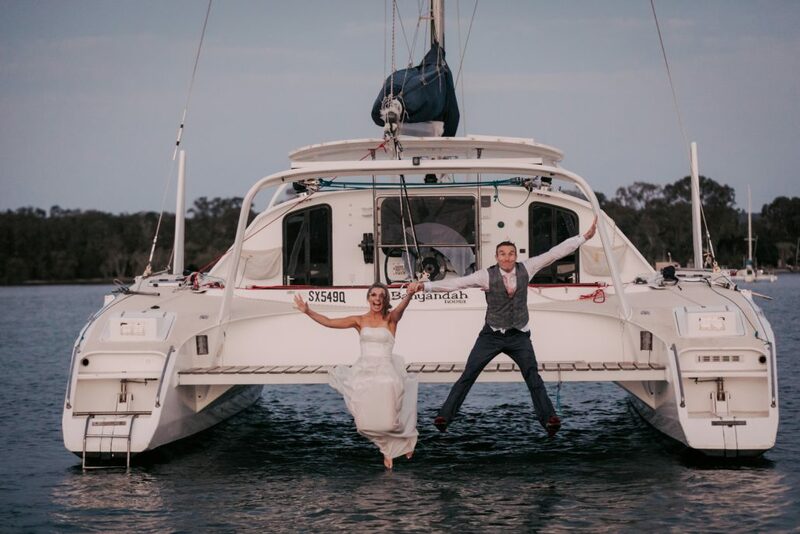 So Ashlee and Alistair had this crazy idea. They wanted to get married, have a photoshoot and then jump off a boat into the Noosa river. How could I say no? 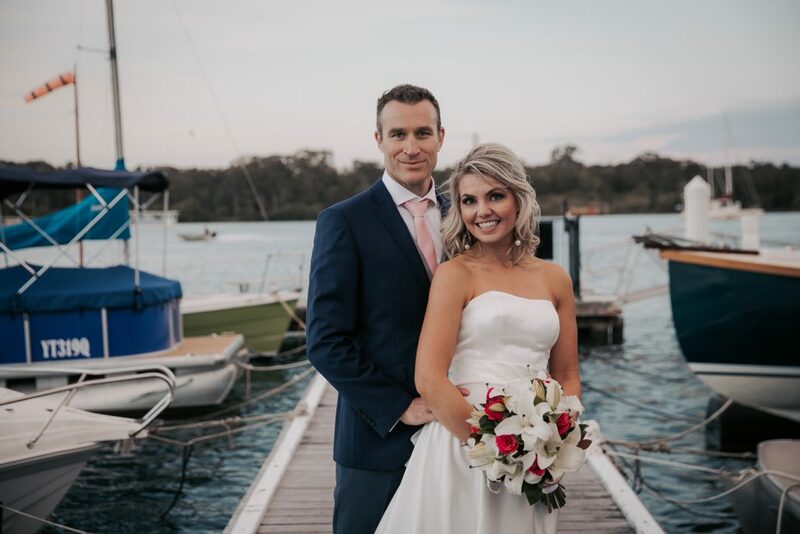 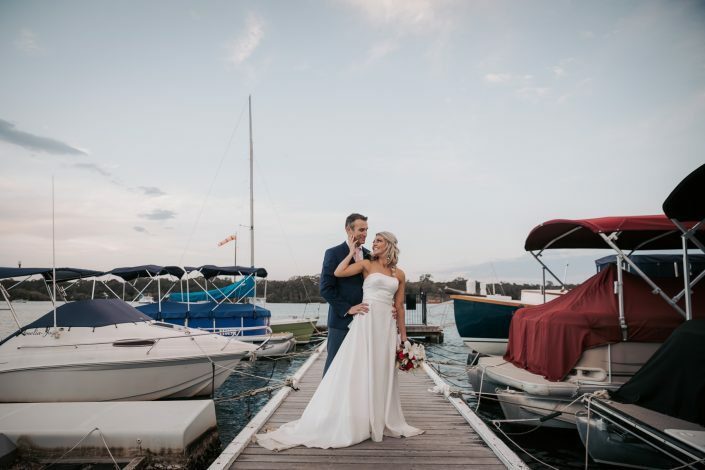 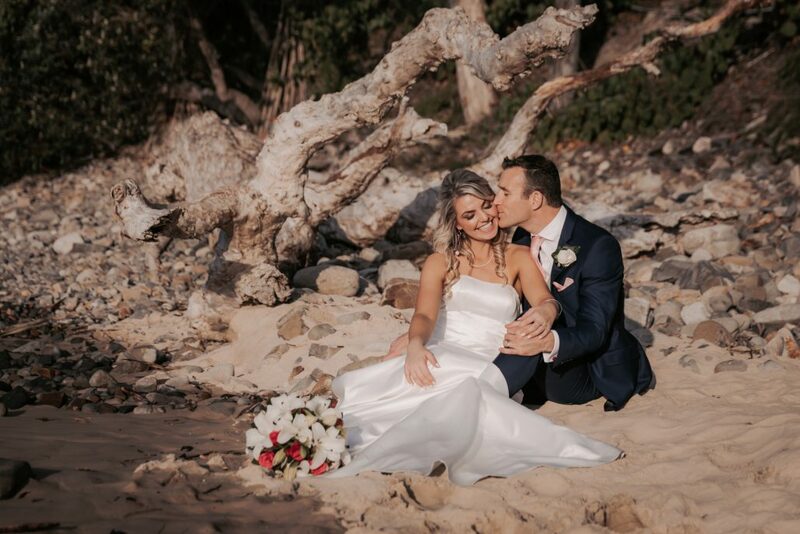 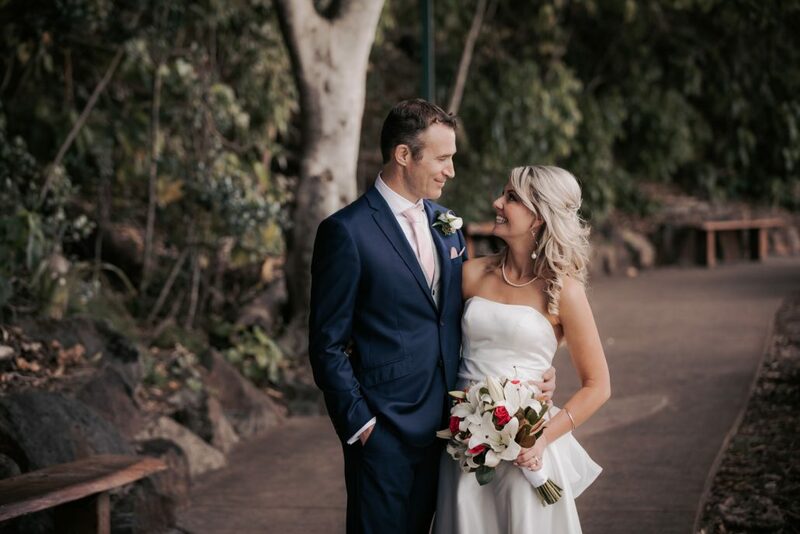 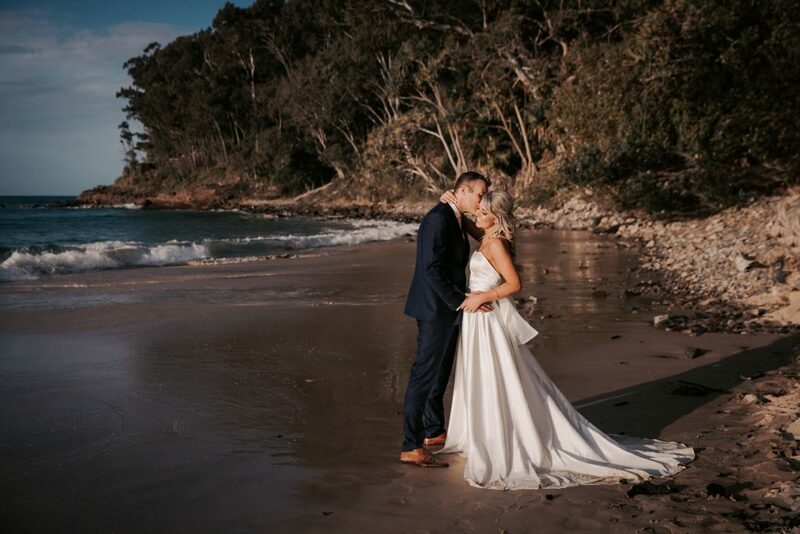 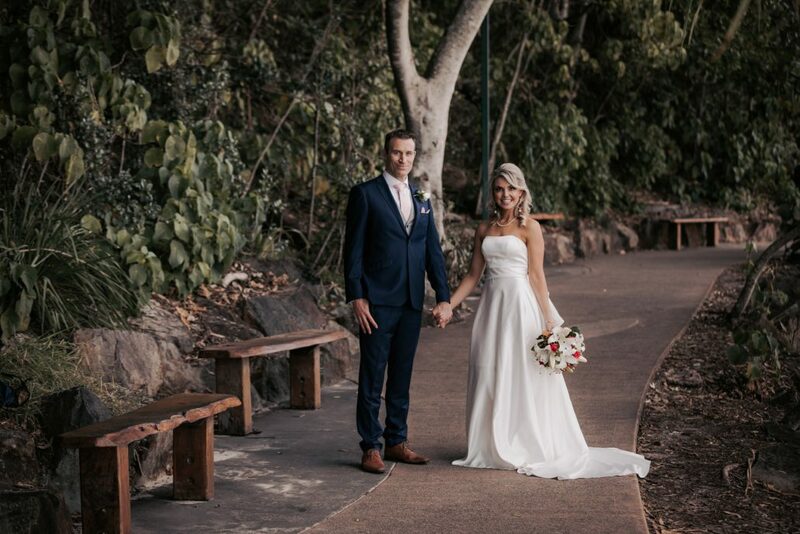 I met Ashlee and Alistair in Noosa for their wedding in early October, 2018. It was a very small wedding with only 6 or 7 guests. 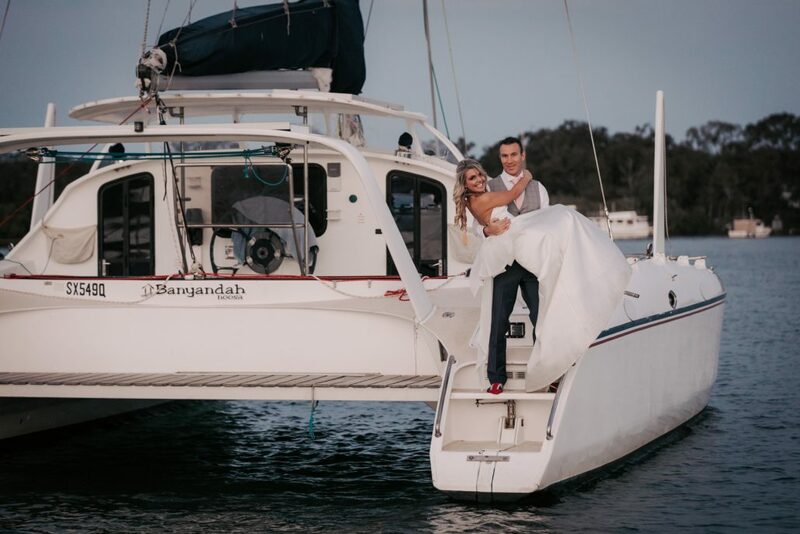 We completed the photshoot outside Noosa Yacht and Rowing Club, Hastings Road and a small beach down the road. We then heading back to the Rowing Club to head out onto the river so we could get the photo of Ashlee and Alistair jumping off a boat. 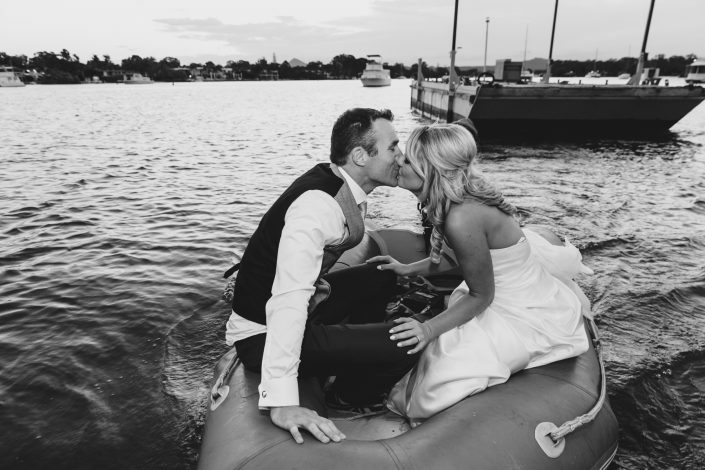 We had a few issues leaving the dock which chewed up some daylight, and it was almost dark by the time they jumped. 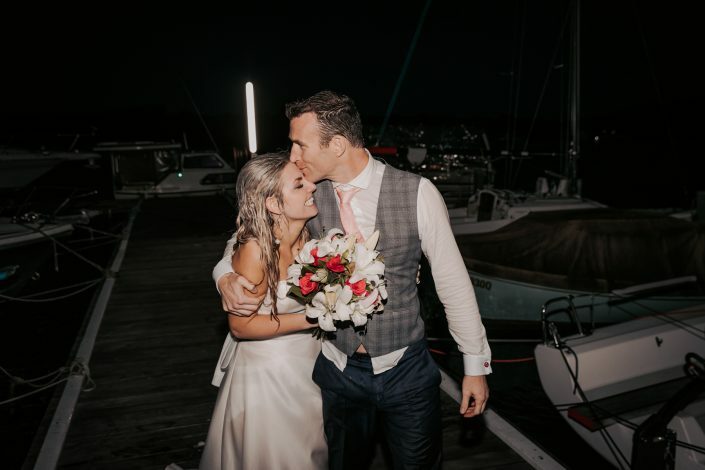 Luckily, my trusty old Canon 5d4 did a fantastic job in low light. 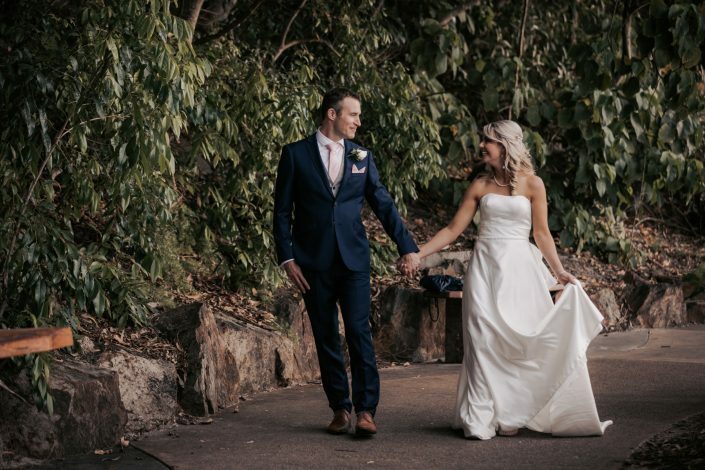 And just in case you were wondering.. No, they didn’t attend a reception afterwards. 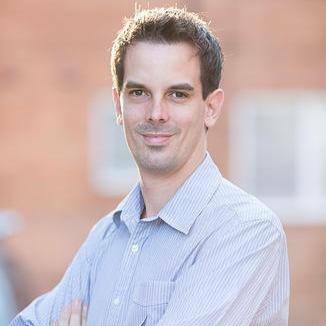 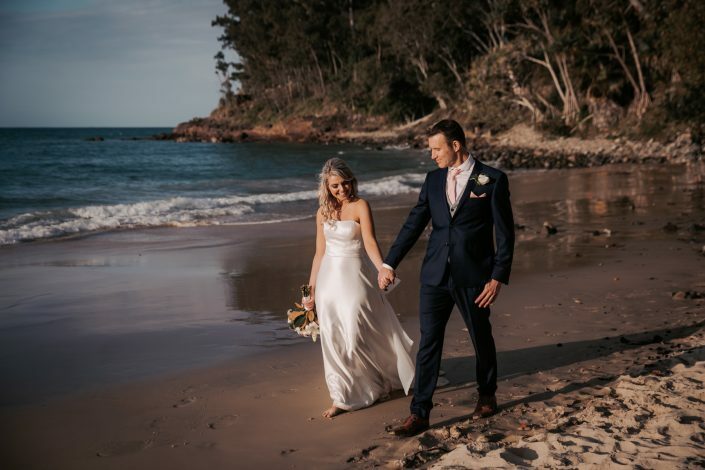 If your looking for a wedding photographer in Noosa, then please feel free to send us an email through out Contact Form.